Today I have for another Monday giveaway! Today’s giveaway is a fun one that is so versatile, that with a little imagination you can come up with the most creative drinks. I have for you today the Infuse 3-in-1 pitcher by Primula. This pitcher is pretty cool. You can make hot and cold drinks in it. It comes with a tea and coffee infuser, so you can make ice coffee’s, yes please or hot & cold teas. It also comes with a infuser to fill with fruits, vegetables or spices and a Chill Core to keep your drinks nice and cold. Today I made for you a light, kind of tropical drink, that would be nice to serve at the holiday times or it’s so refreshing it’s perfect for having after a workout. My drink is made with pomegranate, oranges, lime and a pinch of stevia. I was really surprised but my Husband really liked it, and so do I. I used a light pomegranate juice, a pinch of lime juice and filled my infuser with freshly cut oranges. I let it soak over night and the next drink I have a fruity, light drink to quench your thirst. The pitcher is pretty nice too. It’s shatter proof, dishwasher safe, BPA free and easy to use. I think after I drink up my Pomegranate Citrus Juice I am going to make ice coffee. I originally was going to do that first, but I was out of coffee (I know me, crazy!) and I love juice and haven’t had that in a while. I try to stay away from juices full of sugars and that are to sweet, my drink is isn’t. You can serve it to your kids and know that they will like it and it’s guilt-free. 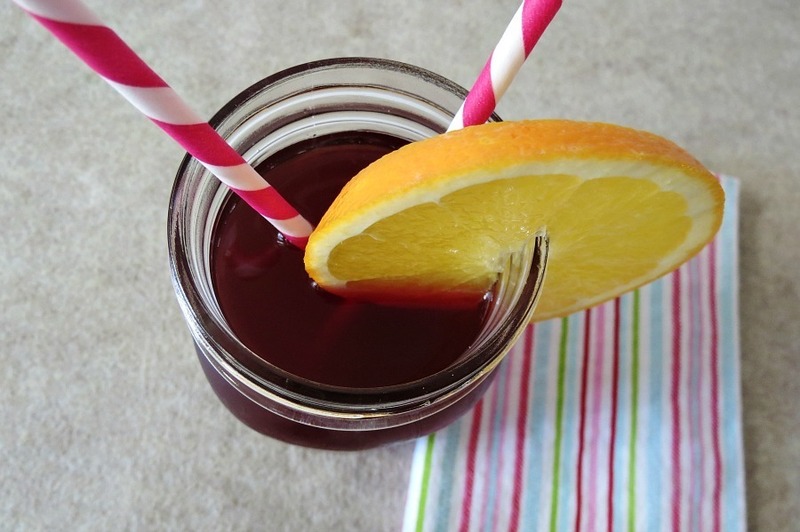 A light refreshing drink made with pomegranate juice, lime and oranges. Jazz it up and serve over sparking water. In a large pitcher add pomegranate juice, water, lime juice and stevia. Mix until combined. Add oranges to pitcher. Refrigerate for 4 hours or until ready to use. 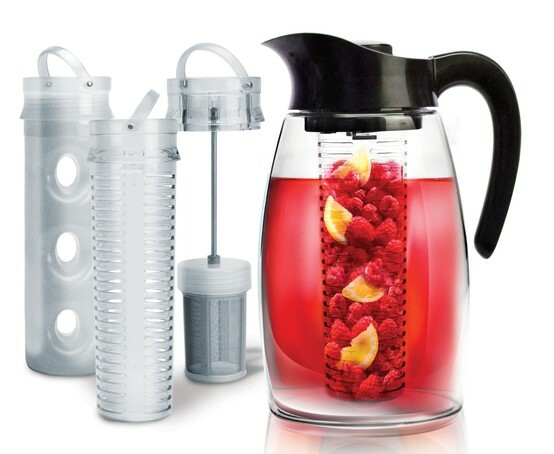 Would you like to win the Primula Infuse 3-in-1 Pitcher? All you have to do is tell me what drink would you like to make? I’ll pick a winner on Wednesday evening and post the winner on Thursday!! This is really a fun pitcher with so many options! I will be sure to use it a lot in the summer! I was given the Primula Pitcher to try, all opinions are my own and no one paid me. I would like to make iced coffees and teas. And I also signed up for emails. Thanks. I would love to make iced coffee. My comment disappeared. Where do I start… I would make this pomagrante juice, cucumber/lemon water then I would go crazy with it from there. I would love to have one of these. I followed you on facebook, pinterest,twitter. I tweeted from user name @fizees and I subscribed to your emails and pinned this recipe. I follow you on gmail,email and pomagranites are my favourite . I would definitly be trying this drink. Mixing different fruit makes satisfying, yummy drinks. I also love creating different flours of ice tea. I follow Peanut Butter and Peppers on Facebook. 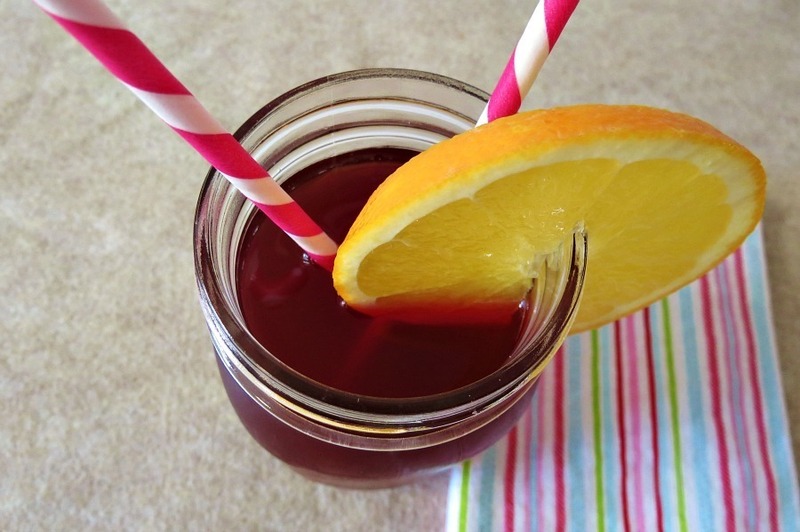 I repinned Pomegranate Citrus Juice on Pinterest. I would make tea and maybe infused water. Hubby would make iced coffee! This looks awwsome! I follow you on Twitter!! This looks wonderful!! Jenn, This sounds amazing! The first thing I would make is Sangria!!! 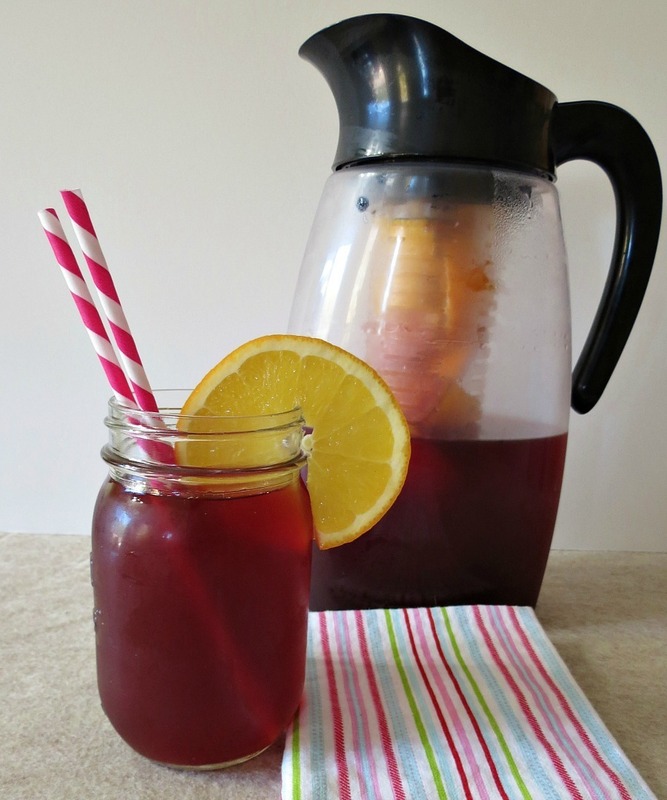 It may be first thing in the morning but a delish red and fruity sangria to “warm your cockels”!! This would be perfect for fresh mint iced tea in the summer! I’m thinking this paired with vodka = my new favorite cocktail! I would make all sorts of fruity iced teas! it looks like it would be extra beneficial to use in the summer, for thirst-quenchers. fun! I would love to make cucumber water- with this pitcher-Yum!!!! In this pitcher the cucumbers wouldnt get soggy!!!! A lemon and cherry mixture with a bit of booze! I would make all kinds of infused waters – starting with cucumber water. Thanks for offering the chance to win. I pinned your spiced almonds recipe. I’m making them now! 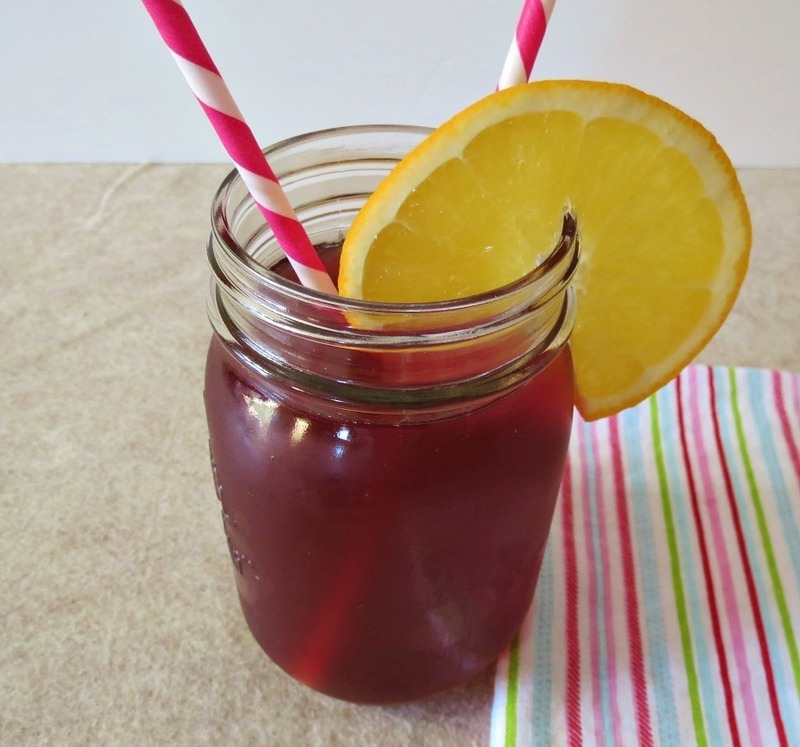 I would LOVE to make fruit infused iced tea-how fabulous! 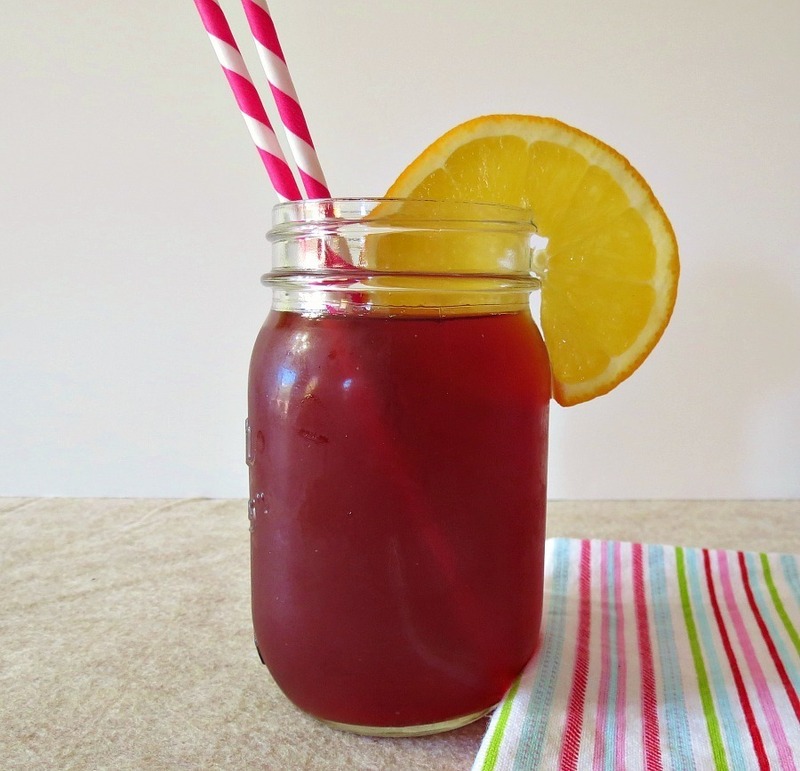 Iced tea with lots of lemon! I love iced tea, but I also like the sound of the Pomegrante Citrus Drink. I like to infuse water with lemon, ginger & mint…this would be perfect for that! I pinned a few recipes! Ur recipes r super – duper awesome…! I would love a lemon-infused water! I follow u on Pinterest. Love it!! Hmmm, some strawberry lemon tea sounds pretty tasty! I would love to make fruit teas in this pitcher! I’d make a fresh pomegranate green tea! Tasty and good for metabolism! I would love to make iced tea with this! I also followed you on Twitter and on Facebook! I would love to make infused iced tea! I would make some Flavored Green Tea! I follow you on Pintetrest! I pinned your Chicken Vegetable Soup Recipe! I love to make teas! I would concoct (or find a recipe 🙂 for a healthy version of Cherry Lime-Ade – using real cherries and fresh lime juice! I would infuse tea with a variety of fruits. I would use the infusion capability to give the family healthier flavored options that are not sugary. The possibilities are endless on what drink I would make! Knowing me, no two drinds would ever be the same! I pinned a cookies recipe!! YUM!! i would love to make this drink & teas! I have a freezer full of raspberries from my garden. I would probably make something with them, like a raspberry iced tea.